She Types Things...: First Day Back at School! 4 Special Moments from Special School. After a sleepless night filled with excitement, today was my first day back at school! I honestly could not wait. I have a new backpack, a sparkly blue lunch box, a Disney princess water bottle and butterfly hair clips: did somebody say "prepared!" ? Because I am a model pupil, and I have a sterling record to maintain - on the first day back I was... LATE. The back-to-school traffic was worst than anticipated and I was late, but why break the habit of a life time? It was strange returning to school because the reality is I had only been there a week ago. What?? Yes, it was Summer holidays, but I was working in the Summer program so I had been in most days. But it was totally different. Only one of my students was there. I had three who I hadn't seen in 6 weeks, as well as my teacher. I missed them all dearly. I arrived at the school and was quickly swallowed by a mild feeling of apprehension. What was going to be different about this year? The excitement took over though, and I made my way to A Block. The day had begun. It was slow starting. Lots to do. Physios checking positioning, as well as manual handling of all the children. That took a long time. There were aides who I didn't know very well in the classroom. In short, the routine is yet to come. But the special moments? They existed. I will tell you about 4 of them. #1 One of my students was a bit late, as she had an appointment. Her mother brought her into class later. I've never met her mother, mostly this student arrives by bus. When my student saw me, after six weeks apart, she looked at me and her face lit up with a massive grin. It was a truly spectacular moment. Her mother was then very keen to meet me, and we had a lovely introduction. It was a great start to the day. #3 In the afternoon, the student from the beginning of the day smiled at me. I smiled back and said hello, but I didn't pay close enough attention. Quickly she turned to crying, and I paid closer attention. I asked her what was wrong, as she had felt too hot before. Her skin felt fine now. She had also stopped crying really quickly. I got out her PECs board and went through the options. When I got to "read story", she smiled and looked up - asking me to read her a story. This is the very first time she has ever initiated conversation with me beyond needing a need of comfort (food/toilet/temperature) met. This was a massive deal. 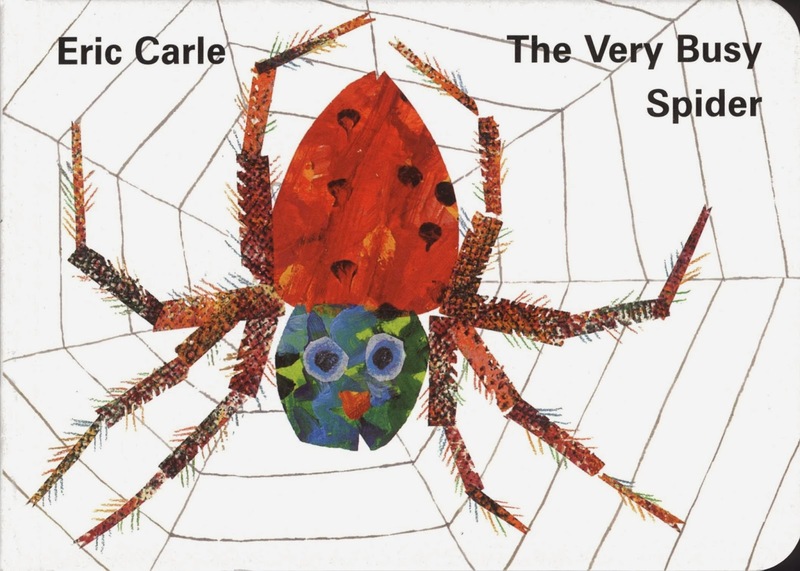 We read "The Very Busy Spider" by Eric Carle. #4 At the end of the day, my student from the Summer program who is now in the next door classroom was sitting outside our classroom - refusing to move. Everyone thought he was distracted by the activity in our classroom, but I had a sneaking suspicion he was waiting for me. When I came outside he stood up and, instead of using his own walker, he held my hands and helped me push a student's wheelchair. The fact that he waiting for me.... well, it's a bit selfish of me, but it was a little bit adorable. And that is how we have started the year. It will be interesting. With one of my students next door, two new students, new aides, new routines... well the best part about school and life is learning! It sounds like you had a great day back at school! It must be a wonderful feeling to have so many students responding to the love you show them! 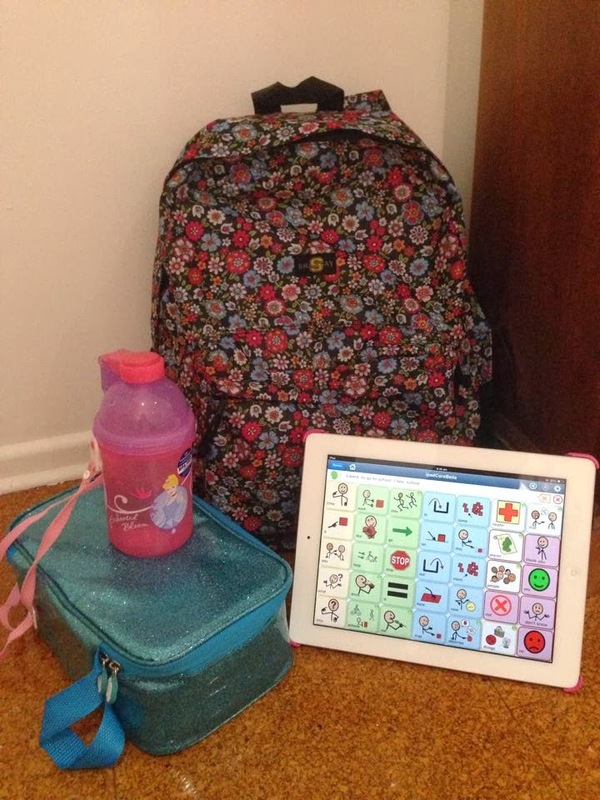 My daughter has difficulty finding her words sometimes due to a stroke and a medication side effect. She does get frustrated at times. I found your blog at Love That Max. I invite you to link up with us on Fridays too at http://faithfulmomof9.com I'm also looking for guest posters if you're interested! Thank you so much, Sylvia. Love your blog, definitely going to be a reader! Thanks for reading and commenting. I will be linking in definitely, and would love to do a guest post. Still new to the blogging sphere - long, long time reader; new time writer. I definitely understand how your daughter feels, and some of my friends do too (as I will write about in later posts).